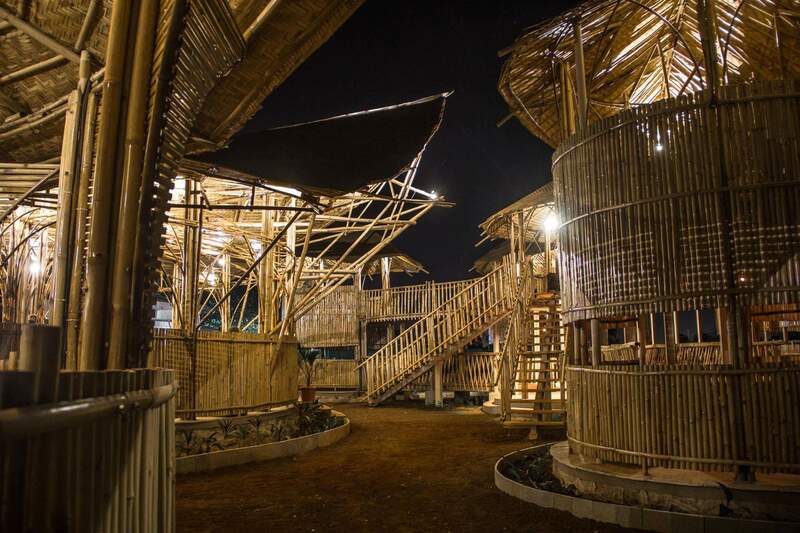 The SHACK - A multi-cuisine restaurant in Bamboo at Nashik by Akshay Jadhav, The Side Lane Design Co. - ArchitectureLive! 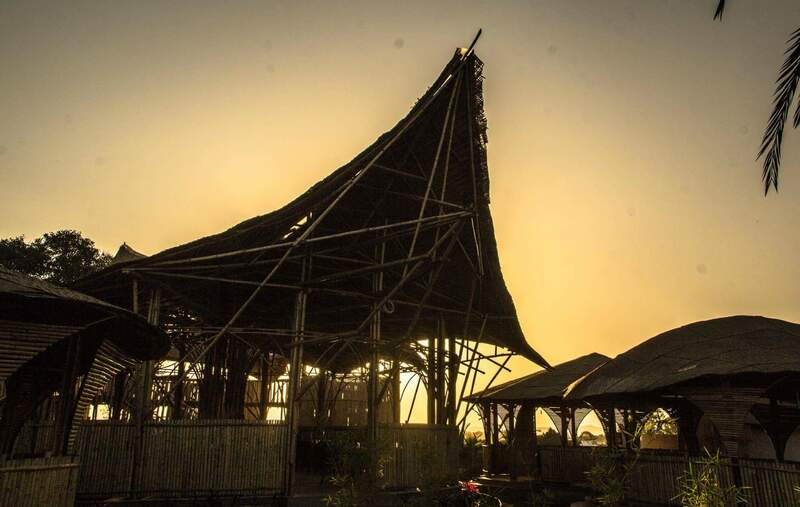 Nashik – being a historical and religious city center – experiences a lot of tourist traffic. 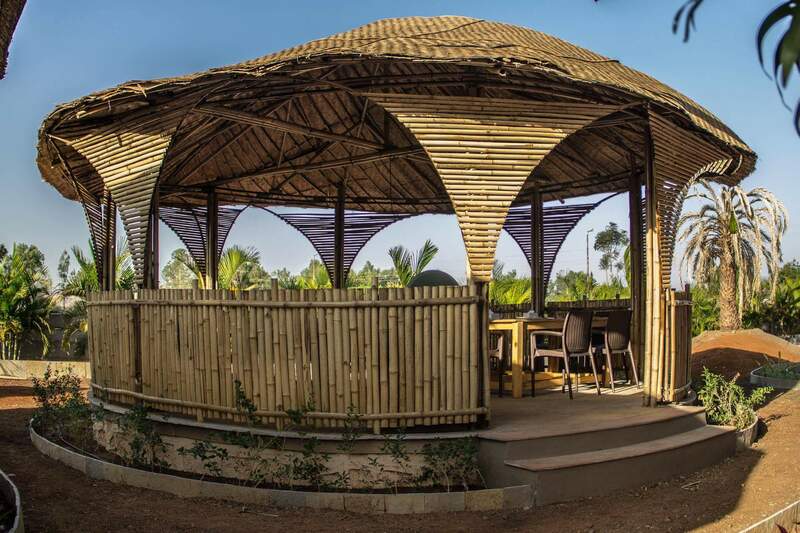 It is also the wine capital of state of Maharashtra. 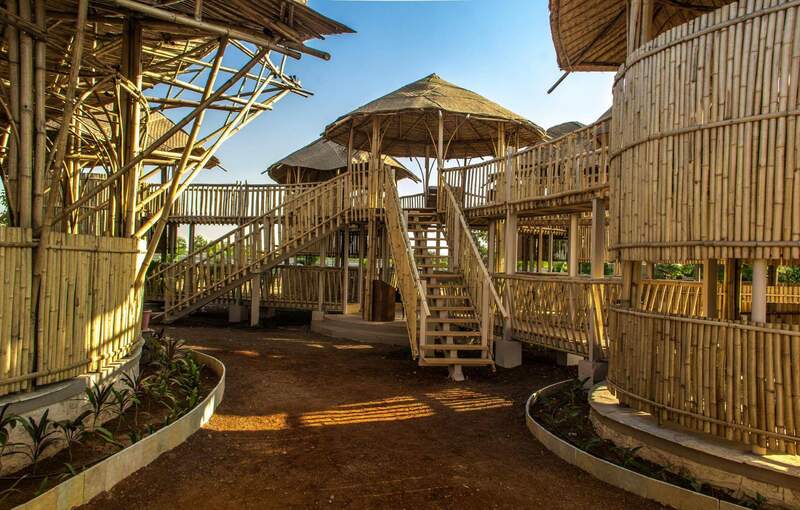 Nashik is a green city, with lot of agricultural activities being carried out in the district. All of these reasons have contributed to the emergence of enormous food hubs. 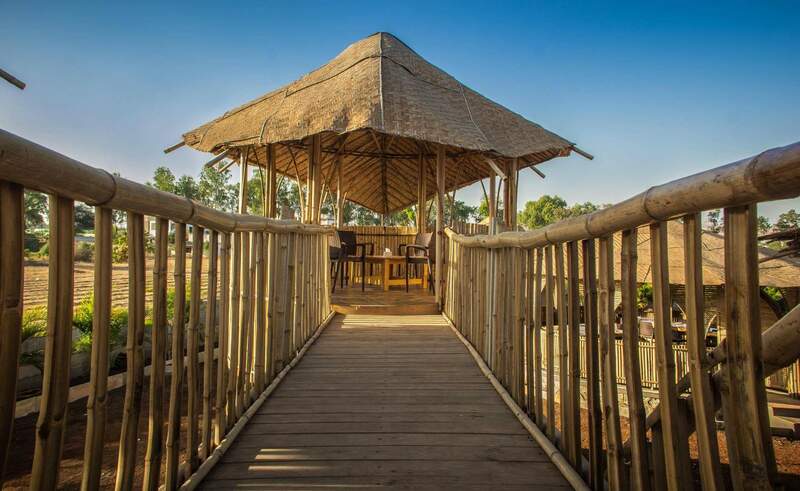 The site of the restaurant is surrounded by agricultural land, forests and mountains. 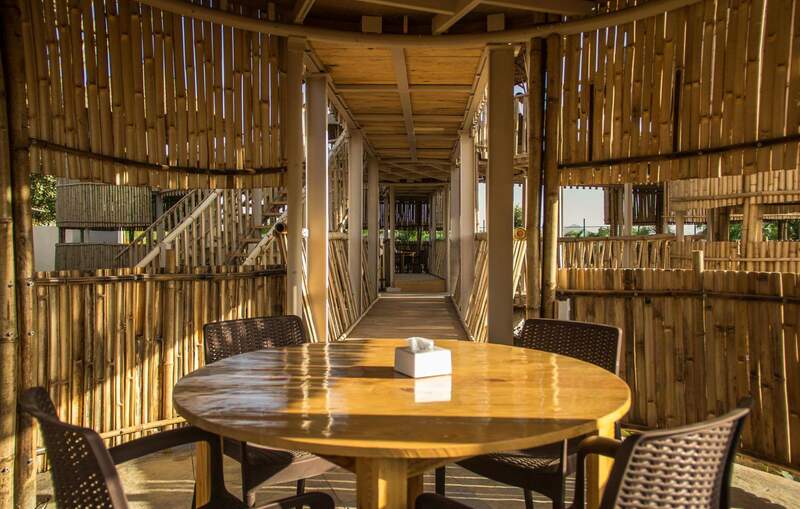 It is located in the outskirts, but at a motorable distance of 10kms from the heart of the city. The surrounding areas are being gradually developed as an educational hub, with numerous markets, residences and restaurants in the making. 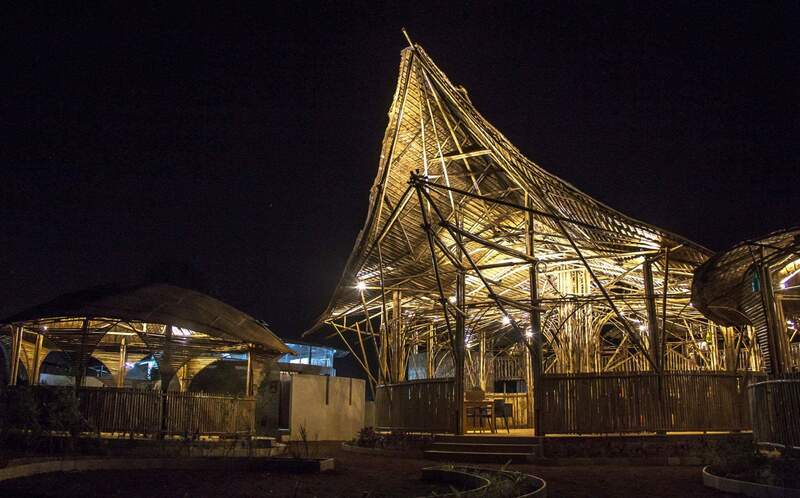 The design of the SHACK restaurant is an exercise in material exploration. 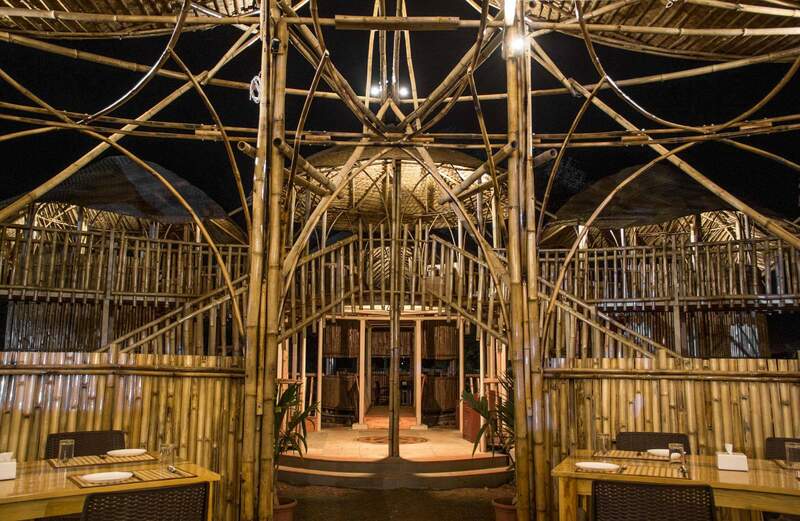 Leaning towards ‘green’ architecture, the primary material used here is bamboo, which also lends the restaurant a unique identity among a mass of concrete and brickwork buildings. 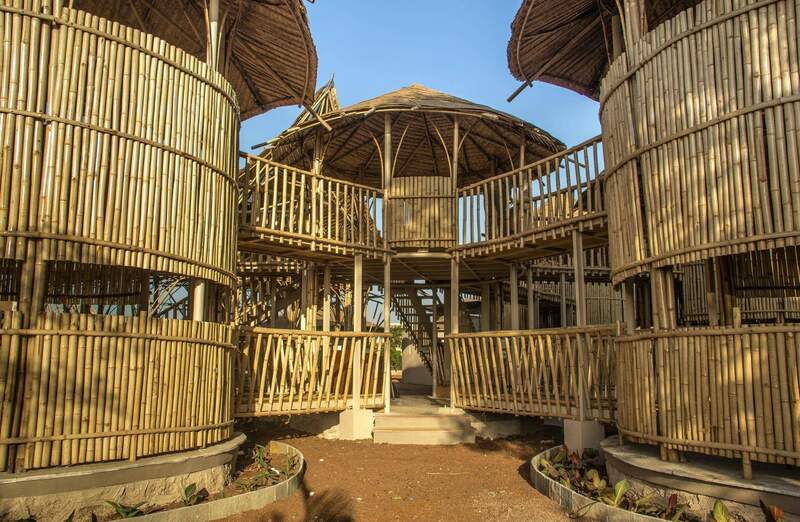 The bamboo used consists of three indigenous varieties – one sourced from Assam, Goa and Konan in Maharashtra, each – and constitutes 75% of the structure, including columns, beams, trusses and railings. 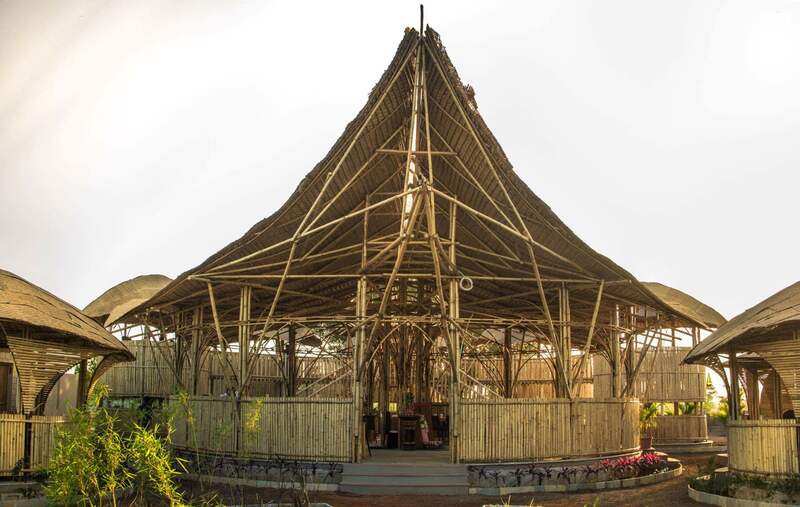 The superstructure also used bending bamboo varieties such as Lathi, Goagiri and Managa to create beautiful seating spaces and organic roofing forms. 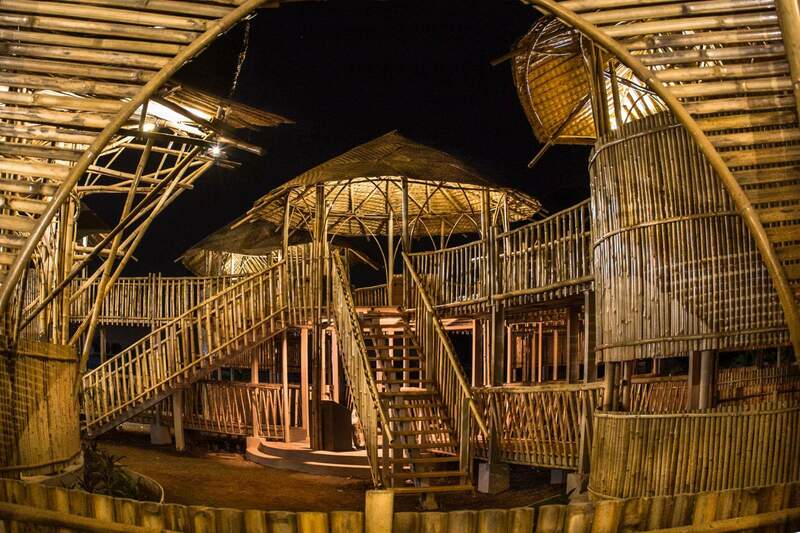 The project employed skilled craftsmen from the tribal regions of Eastern India to wield this bamboo expertly. 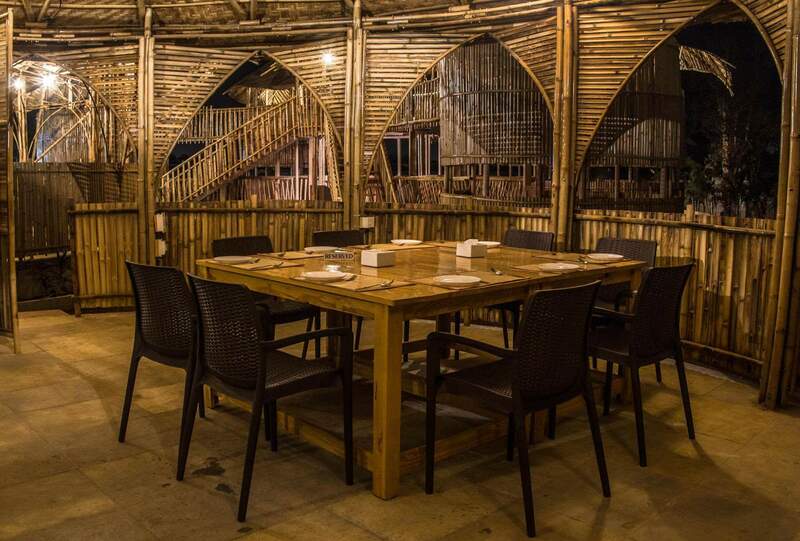 The restaurant comprises of clearly defined dining spaces with a varying seating capacity, to accommodate gatherings of all sizes. 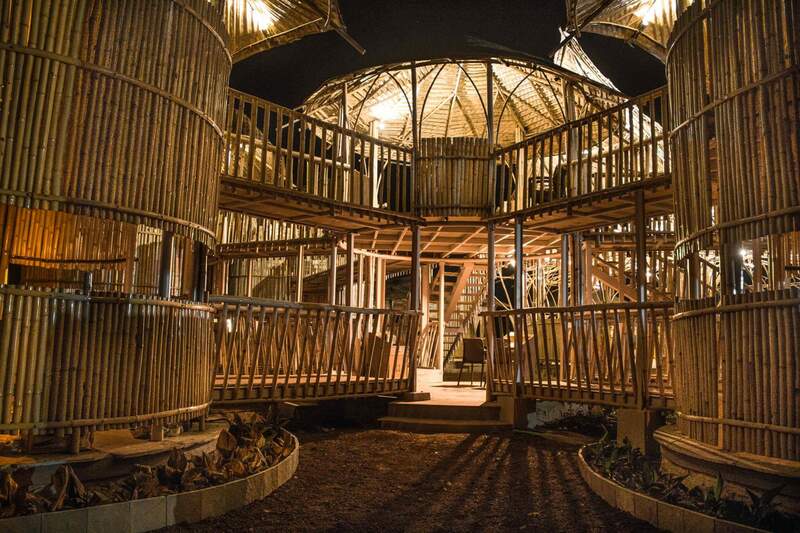 These spaces are arranged around a large central hut which serves as a family dining or party space. 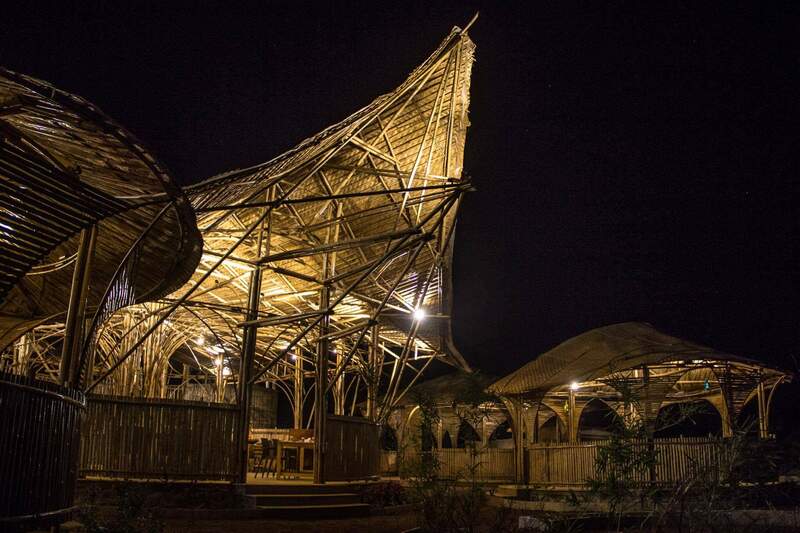 Many of the huts are built at an elevation of 30ft from the ground – emulating the traditional machaan – with the central hut having a convex roof of a span of 70ft, joined by bamboo bridges reinforced with steel sections. 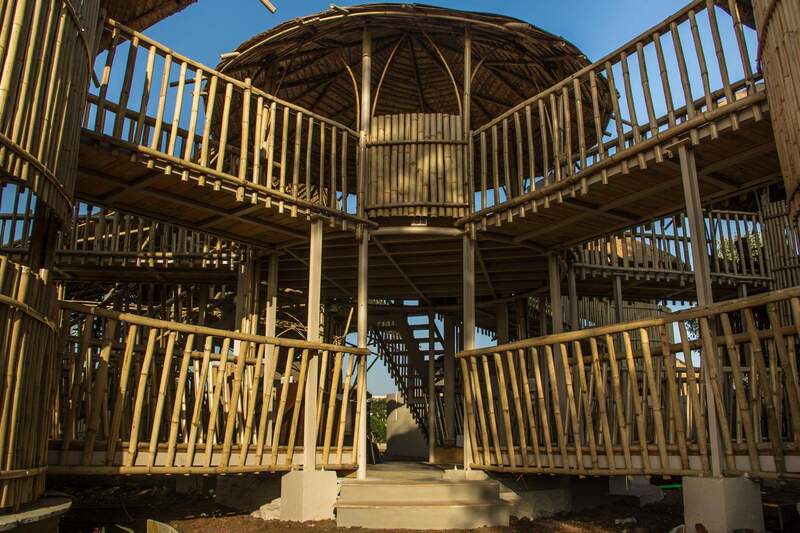 The design utilizes a circular and concentric plan-form, with the aerodynamically suitable curved walls and roofs reducing the wind load as well as adding ornamental value to the design. The plan further takes vaastu guidelines into consideration, with carefully delineated public, semi-public, and private spaces. 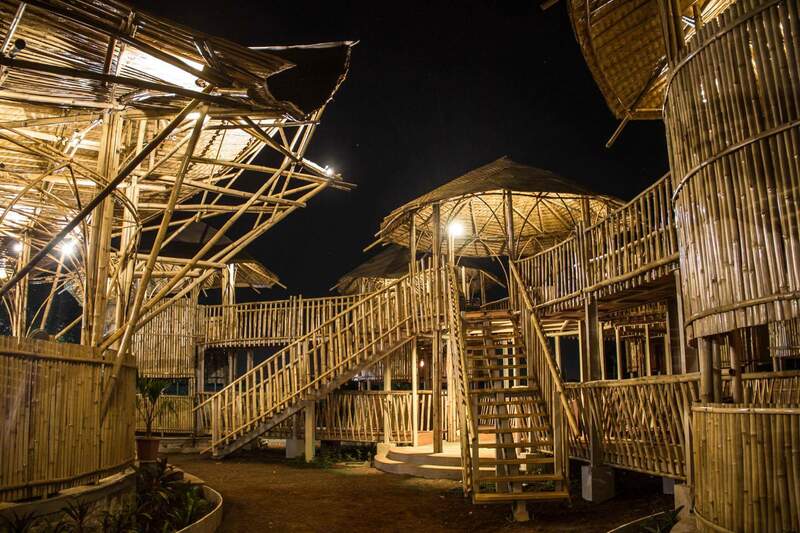 The restaurant comfortably houses up to 50 tables, with plenty of buffer space – inside the huts, and outside – to spare. 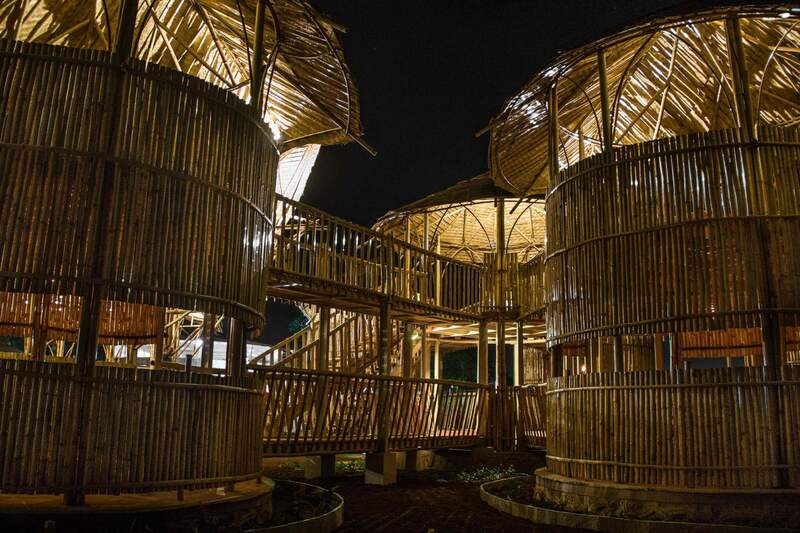 Usage of bamboo has also allowed for passive climate control, reducing the need for mechanical air conditioning substantially. 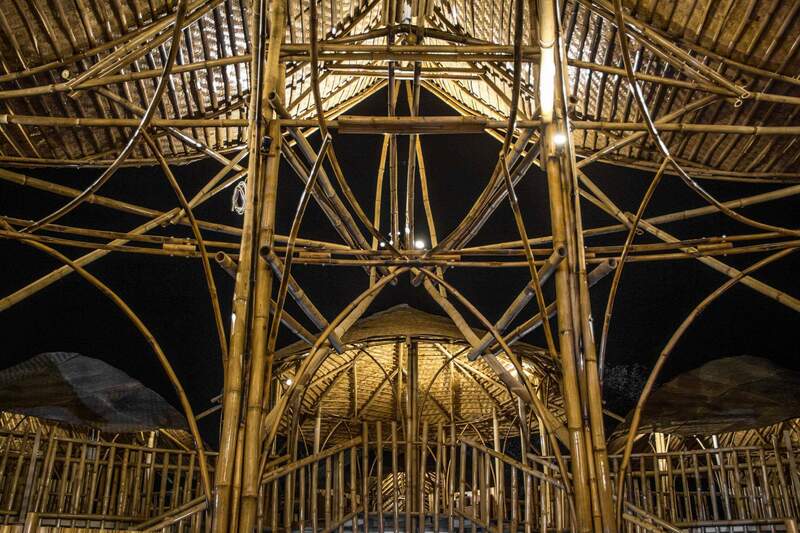 This, coupled with the durability and strength of bamboo, has helped create a sustainable design. 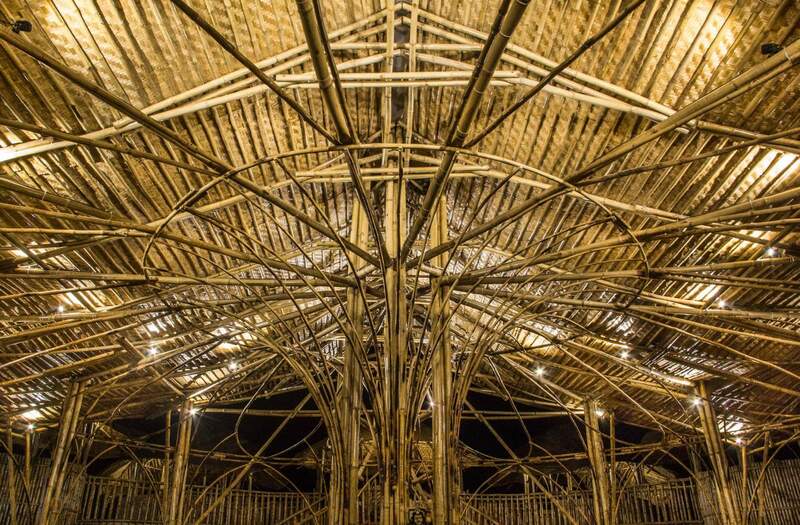 Its 100% natural, its green, this is beautiful structure.